Along with uniform shirts and pants, Tri-Star Glove has additional garment options, including vests, jackets, and pullovers. 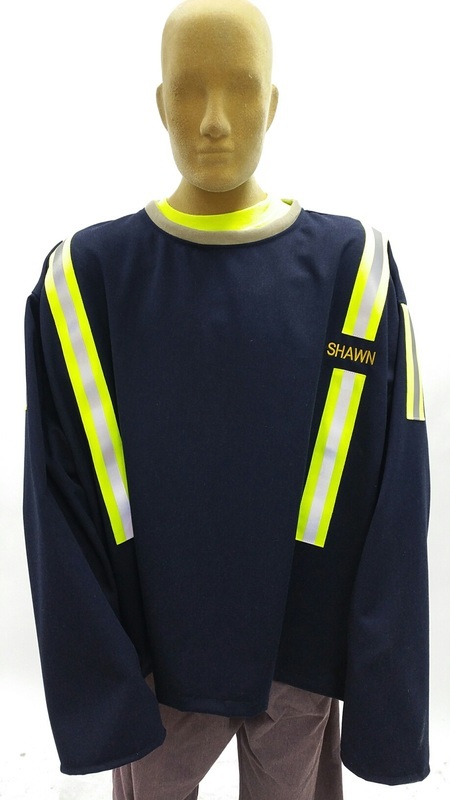 Twaron® blend ribbed cuffs with thumb holes for safety or hemmed sleeves are options for most garments. 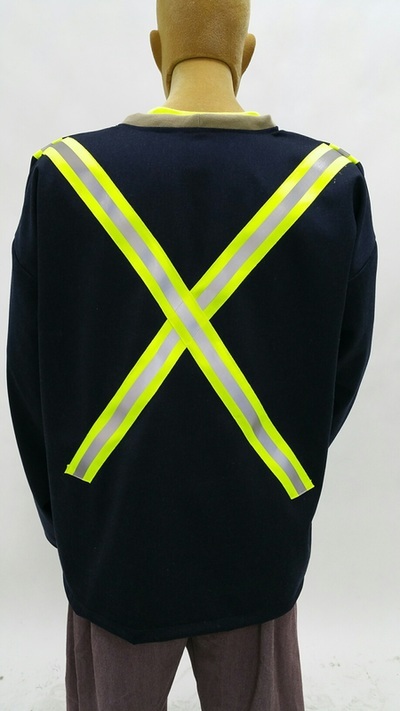 Reflective striping, pockets, mic loops, and embroidery may be added to end user specifications. 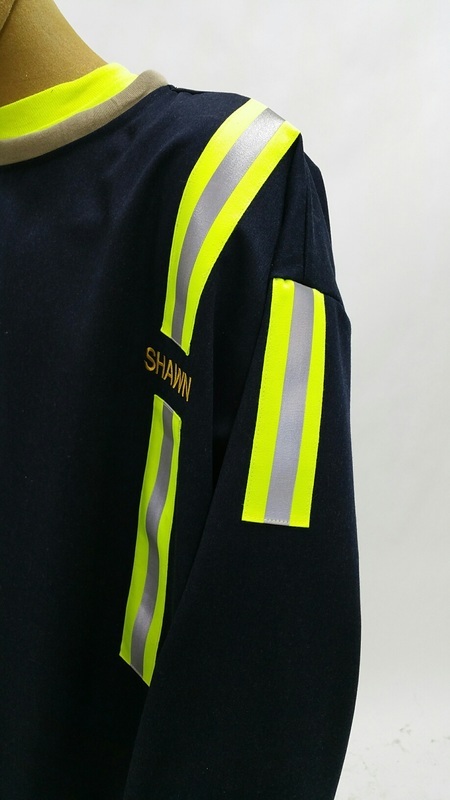 A comfortable and inherently flame resistant navy pullover in TenCate Oasis®, this versatile garment can have reflective striping added and embroidery to personalize with a name, department, or company. The TSG-910-N has hemmed sleeves. Twaron® blend ribbed cuffs with a thumb hole for safety are an option. Sizes Available: Small-5XL. Additional sizes are available upon request.